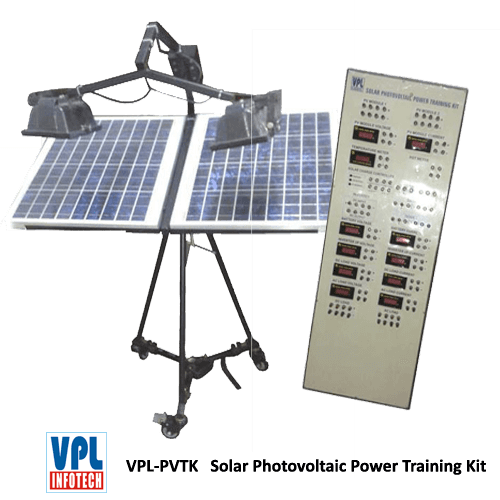 The Solar Photovoltaic Power Training Kit is used to measure intensity of Direct Solar Radiation with the help of Lux Meter or Sunshine Recorder with Table. Power Conditioning Unit: Comprises of different meters like Ammeter, Temperature Meter, Voltmeter and Power Meter to measure different parameters at different output. DC Ammeter 20 Amp. and 2 Amp. The unit has all measuring devices to measure voltage, current, temperature etc.